RedCon1 MRE: Dairy-Free Meal Replacement Protein! Rolled Oats, Protein Blend [Beef Protein Isolate (bovine), Salmon Protein (fish), Chicken Protein, Egg Albumin (egg), Brown Rice Protein, and Pea Protein], Dehydrated Yam, Dehydrated Sweet Potato, Pea Starch, Coconut Water Powder (coconut), Dehydrated Blueberry Fruit, Dehydrated Goji Fruit, Maltodextrin, Dextrose, MCT Oil, Natural And Artificial Flavors, Cellulose Gum, Cinnamon, Salt, Sucralose, Acesulfame-k, Silica. Contains: Eggs, Fish (Salmon), Coconut. Manufactured on shared equipment which processes products containing milk, egg, soybeans, wheat, shellfish, fish, tree nuts flavor, and peanuts flavor. Rolled Oats, Protein Blend [Beef Protein Isolate (bovine), Salmon Protein (fish), Chicken Protein, Egg Albumin (egg), Brown Rice Protein, and Pea Protein], Dehydrated Yam, Dehydrated Sweet Potato, Pea Starch, Coconut Water Powder (coconut), Dehydrated Blueberry Fruit, Dehydrated Goji Fruit, Maltodextrin, Dextrose, MCT Oil, Natural and articial Flavors, Cellulose Gum, Cinammon, Salt, Sucralose, Acesulfame-k, Silica. Rolled Oats, Protein Blend [Beef Protein Isolate (bovine), Salmon Protein (fish), Chicken Protein, Egg Albumin (egg), Brown Rice Protein, and Pea Protein], Dehydrated Yam, Dehydrated Sweet Potato, Pea Starch, Coconut Water Powder (coconut), Dehydrated Blueberry Fruit, Dehydrated Goji Fruit, Maltodextrin, Dextrose, MCT Oil, Natural and artificial flavors, Cellulose gum, Sucralose, Xanthin gum, Acesulfame-k. Fish (Salmon), Coconut. Allergen Warning: Manufactured on shared equipment which processes products containing milk, egg, soybeans, wheat, shellfish, fish, tree nuts flavor, and peanuts flavor. Rolled Oats, Protein Blend (Beef Protein Isolate (bovine), Salmon Protein, Chicken Protein, Egg Albumin, Brown Rice Protein, and Pea Protein), Dehydrated Yam, Dehydrated Sweet Potato, Pea Starch, Coconut Water Powder, Dehydrated Blueberry Fruit, Dehydrated Goji Fruit, Maltodextrin, Dextrose, MCT Oil, Natural Flavor, Cellulose Gum, Cinnamon, Salt, Sucralose, Acesulfame Potassium. Contains: Eggs, fish (salmon), Coconut. Manufactured on shared equipment which processes products containing milk, egg, soybeans, wheat, shellfish, fish, tree nuts, and peanuts. Blueberry Cobbler is SO GOOD!!!! 47 Grams Of Protein Per Serving! 47 Grams Of Protein Per Serving!47 Grams Of Protein Per Serving! 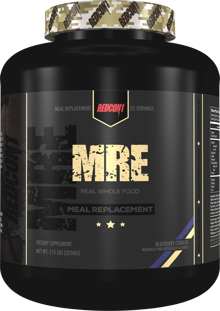 We have perfected the ultimate flavors that will change any thoughts you have towards meal replacements. There are two mouthwatering flavors for you to chose from: Sweet Potato Pie and Blueberry Cobbler. Key Lime Pie This is a Buy 1 Get 1 FREE offer!